It’s been a tough year for Samsung. Implicated in a corruption scandal in their home country, traumatized by the failure of the Galaxy Note7 and under pressure to release their new Galaxy S8 which must go off without a hitch. Even with all of this to deal with, they still found the time to develop foldable screen technology. Apparently, we should expect to see this technology enter the market next year. Foldable screen: what is it? It’s hard to follow all the rumors about Samsung’s foldable screen. The only sure thing is that they are working on various concepts and they will be releasing at least one model into the market in 2017. A recent rumor from ETnews tells us that we won’t have to wait all that long to see one of these devices: Samsung could launch their foldable screen smartphone as early as the start of next year. We must distinguish between this phone and the other device mentioned in rumors: this other model could be foldable but the screen won’t be foldable. It will perhaps be like a laptop, using a hinge for example, allowing you to superimpose two screens. In brief, Samsung remains loyal to their old AMOLED technology, indeed perhaps even the Super AMOLED that we have grown accustomed to. Samsung won’t trial their foldable screen right away, nor is it expected that it will launch the foldable smartphone right away. The company wants to see how the consumers react to the first model. If the users show a definite interest in foldable smartphones, then the foldable screen will enter the market. It’s obvious that production won’t be flooded by this device, at least not at first. There has been no interest in manufacturing a lot of models of this device which, in the end, might not sell. That said, it’s hard to imagine foldable technology not being successful. It will allow us to have the use of a large screen (to watch videos on, for example) while also being easy to transport. Its commercial success will depend on other factors, mainly the price which could me criminal. Will the foldable smartphone be the Galaxy X? Will Samsung create a Galaxy Wing range? Project V? There are many names for the foldable screen project. It’s already been two years since we first heard about the projects and the prototypes but this time, it’s serious. Whatever Samsung have prepared, it will be ready to be sold (we hope that it won’t end like the Galaxy Note7!). How will Samsung launch their device? 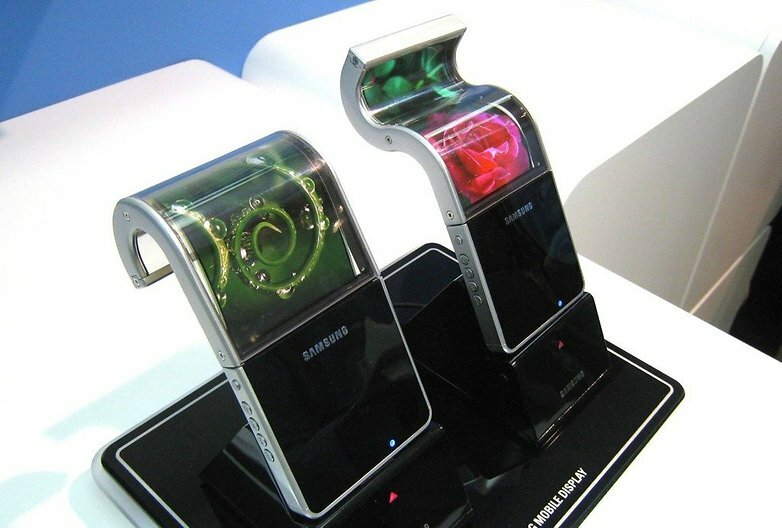 Will we see a range of exclusively foldable screen devices as the rumors have indicated? It’s unlikely because Samsung will want to integrate this technology their top range devices if the users adopt this technology. Another rumor claims that it will be named the Galaxy X. If that’s true, that means that Samsung haven’t put the smartphone into their S range despite the technical specifications of the smartphone (similar to those of a Galaxy S7). Firstly, Samsung will test the market. If it is successful, we can be sure that this technology will appear on top of the range smartphones sooner or later. Whatever the case, we are waiting on anticipation for the start of next year when we’ll be able to come to our own conclusions about the advantages and the disadvantages of foldable screen technology. Are you interested in this technology or do you prefer smartphones as we know them?